A spirit attachment is an “intelligent” disembodied human spirit that has attached itself to a living person’s energy field, aka aura. Attachment spirits refuse to surrender to the death experience and want to continue certain behaviors they practiced in life. They will search for a vulnerable human candidate so they can attach and “live” vicariously through that person. 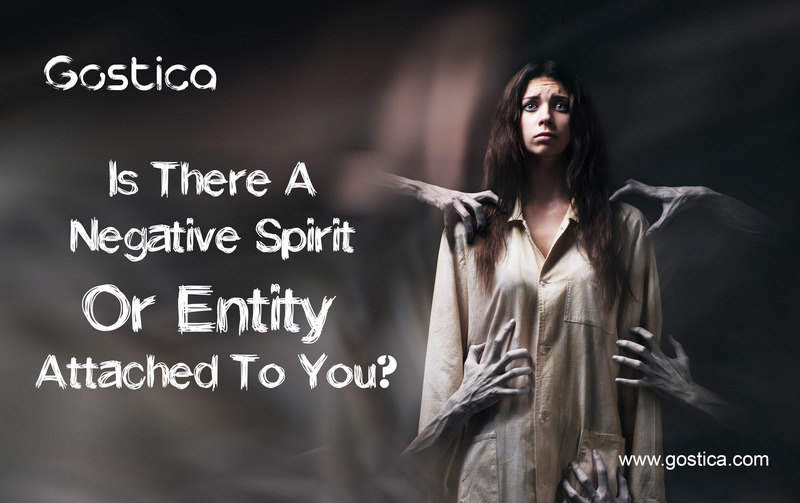 Attached spirits are usually never seen nor physically felt or heard. This is why it’s hard for people to believe they have an attachment until things get really unbearable. Attachments can happen in early childhood. When the child grows up, there may be a nagging awareness that something is not right. As adults, they don’t know why they repeat certain harmful behaviors or addictions. Awareness: There might be a feeling that something is off. The behavior seems to be unusual or even obsessive. One’s outlook on life may turn somewhat bleak, and possibly depression has crept in or been present for many years. The following is a list of physical and mental symptoms strongly indicative of a spirit attachment. Assessment: There needs to be an honest assessment of one’s energy field and physical self to determine a spirit attachment is present. If you or an individual suspect there is an attachment present, decisive action can be taken. Detection: There are many ways to detect a spirit attachment. This can be through regression therapy, doing an aura scanning, journaling, automatic writing, looking at the aura in a mirror, using a pendulum, muscle testing, examining dreams, and special meditations. There are even Theta level Binaural Beat meditations included that can help with spirit attachment detection and removal. Identifying What Kind of Attachment Is Present: There are many kinds of spirit attachments as mentioned earlier in the lesson. You can identify the kind of attachment you have in a series of self-tests. Releasing of Attachment: This stage involves a careful therapeutic releasement of the attachment. For some, the attachment has been with them for so long, they are almost afraid to let it go. There is a fear of loss expressed by the victim that seems unreasonable to others. But, I assure you, the attachment has done the victim harm and they should be gently convinced to let it go. In cases like this, multiple sessions for the releasing of an attachment might be the best course of action. Does anyone know who is great at removing spirit attachments on a budget? Thank you much! This article tells me I have a spirit attachment, yes I agree. Who or how can I get rid of it now?!? Hi guys, the absolute best way that I know of to remove attachments is to do it yourself – grounding work, aura cleansing, and sentry creation/placement in the first instance. There’s a book called ‘Your Auras & Your Chakras – The Owners Manual’ by Karla McLaren which explains how to do all of the above in the first 55 pages. It’s the most powerful book I’ve ever read and has the capacity to help everyone no end. I think you can pick up second hand copies on Amazon for next to nothing but trust me, it’ll be the best purchase you ever make.